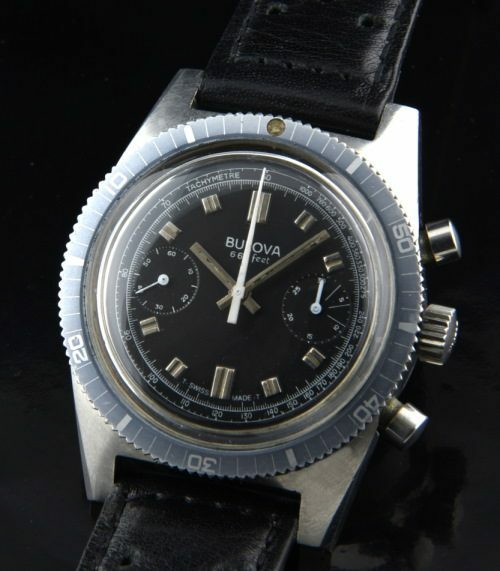 This is a 1973 BULOVA 666 feet diving CHRONOGRAPH in stainless steel measuring 37.5×46.5mm. 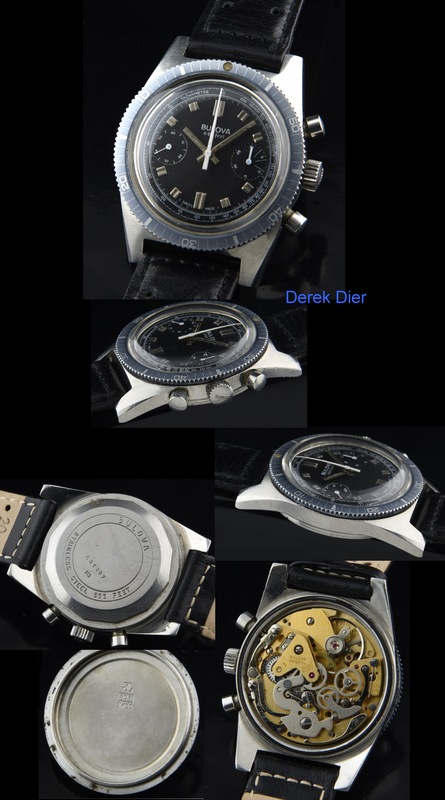 lug-to-lug with original and gently faded turning bezel, original black dial, having white accents and matching white chrono hands with white Tachymetre scale. The manual winding Valjoux 7733 BULOVA chronograph movement was just cleaned and is accurate. This is a an underrated vintage watch that will have its day soon!